I’m not a frequent traveler. I seem to have found my location in the universe and seldom wander far from home. On the rare occasion that I do travel, flight is not my preferred method. I have nothing against it, it simply has gotten too hairy since the TSA started their security theater project. In particular I dislike not having access to my own beverages. Having to toss a perfectly good bottle of water and purchase another at the exorbitant airport prices is galling. Even worse if you want to drink on the plane or in the airport you can have the added experience of highway robbery without ever leaving the plane. In flight beverages can be even worse. A single airplane bottle of crown royal that goes for $1.50 on the ground can run $7-$10 in the air. Admittedly you can get a free coke and ice to go with it but that’s still a pretty hefty markup. With a little careful planning you can drink on the plane and avoid paying out the nose for it. It turns out that there is a little loophole in the TSA regulations. 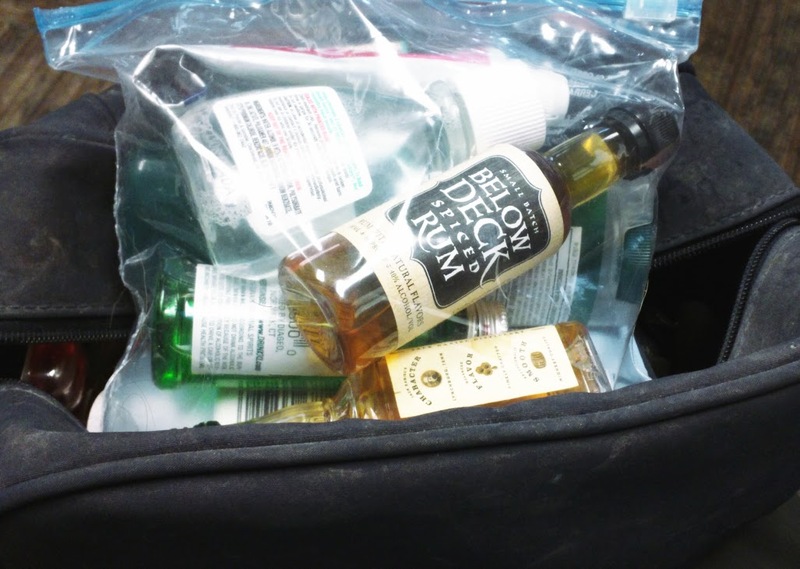 You can bring any liquid through the security check so long as it is A) Less than 3.4 oz and B) fits into a quart size zip-top bag. This means if you are willing to make due to hotel shampoo you can use that quart size bag to bring almost a dozen 50ml bottles of various alcohols onto the plane with you. I have confirmed all of this through personal experience. Even a couple of bottles of personal stash can make the difference between a good flight and a poor one. Don’t let the attendants see you open them, it’s just easier to avoid the hassle of having them tell you to put it away. Plan your cocktails. Getting free mixers from the drink cart is great. Having a handful of single malts and a bottle of jagermeister to help them along is not. Don’t overdo it. Being drunk and disorderly on a plane is a great way to end up in federal prison. Lastly, I came across this after my trip but I fully plan to snag a couple for road trips and future flights. Posted in Feature, Tools.Tagged airplane, airplane bottles, drinking, feature, travel. Next Post How Do I Ship Alcohol?